Movies, sports, and even video games are all brought to life with a custom home theater. Imagine a dedicated room in your home well equipped with a high resolution 4K projector, a screen size 2-3 times the average television, heartpounding 5.1 or 7.1 surround sound speakers, plush leather seating, and just the right lighting to set the mood. That room will become your entertainment oasis. 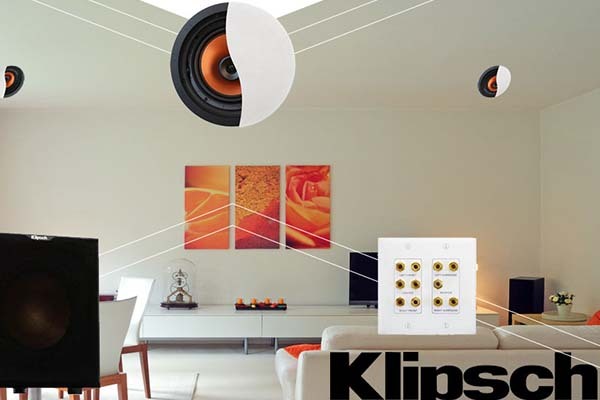 Klipsch has been building premium speakers since 1946 and their science of sound U.S. engineered speakers will create ambiance you're looking for with the aesthetics of flush mount bezel free ceiling speakers in your home. 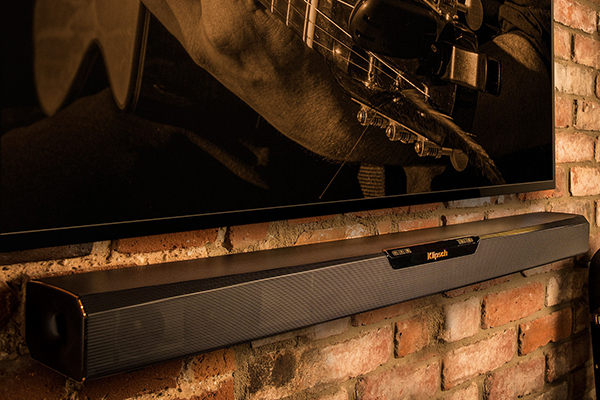 Today's flat panel TVs have awesome high definition video picture quality, but what about the audio? 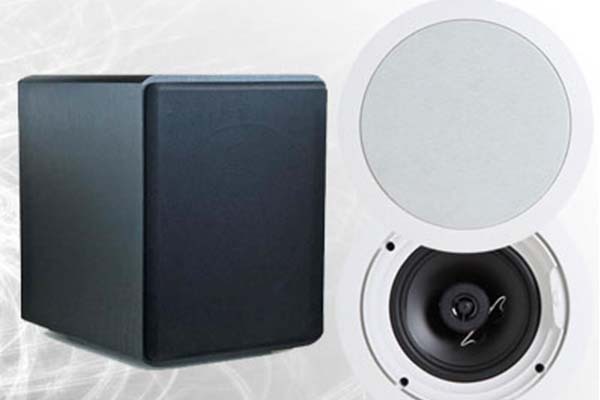 If you want the best Dolby Home Theater to go with it, then you want the Klipsch Home Theater system with the in ceiling home theater speakers with bezel free grill. 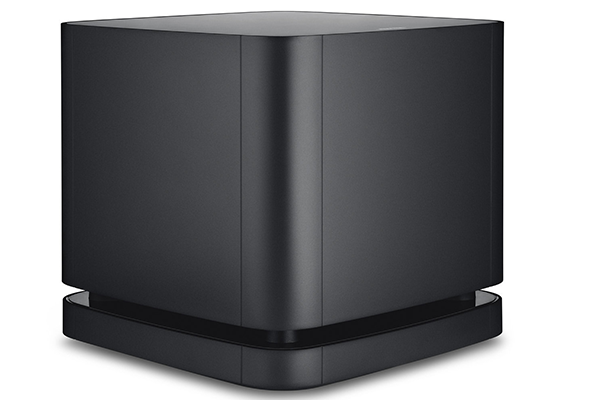 A Klipsch powered subwoofer is included to give you all the base you need for that full home theater experience. 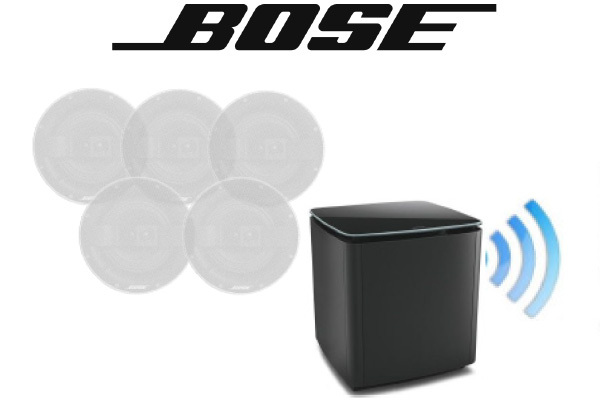 5.1 Surround Sound with(5) 6"
(5) Bose 791 II In-ceiling speakers, wireless subwoofer. 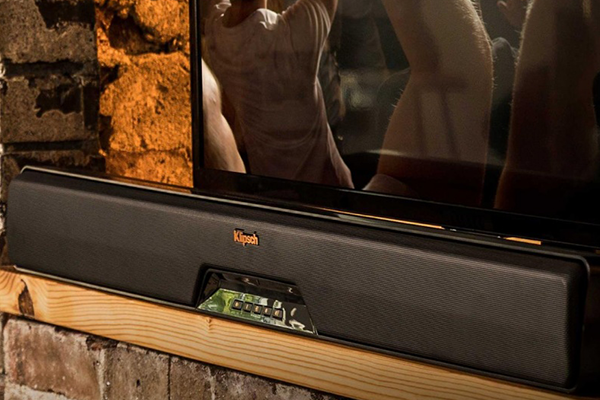 The Klipsch RSB-3 all-in-one audio solution is designed to quickly connect to your TV within minutes of unboxing to seamlessly transform your television into an incredible home theater system . 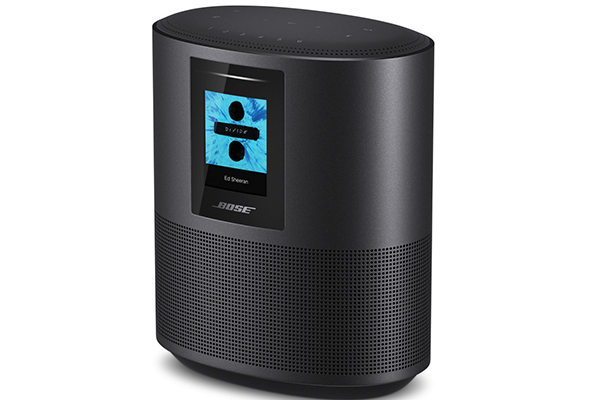 Ultra-High Performance withg an ultra-then design, The Bose® SoudBar 500 is designed slim and engineered poweful for a better sound experience that woun't get in the way. Millions of sound a the tip of your tongue with Alexa voice control built-in. Play integrated music services like Sporify and Amazon Music opr your music libary through Bluetooth or your home Wi-Fi. Custom Order item. Need cables.